Yum! 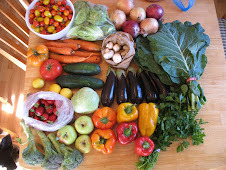 Another recipe from my cookbook of the week, "The Big Little Vegetarian Cookbook." This was a great dinner! By the way, I'm sorry that I am such a horrible food photographer. My pictures always look so gross, but I swear that the food looks good (and tastes good too!). Boil your potatoes for 30 minutes, or until totally tender, and make mashed potatoes with it. You can peel them if you'd like... or not. Add olive oil if you want to the mashed potatoes. Set aside. While you are boiling your potatoes, boil the lentils and barley together for about 30 minutes. Meanwhile, chop up all the veggies, and cook the carrot, onion, garlic, tomato, and herbs with the water for about 15 minutes, over medium heat. Add the flour and cook about 5 minutes more, or until it thickens. Combine the veggie mix with the lentils & barley. Season with S & P to taste. 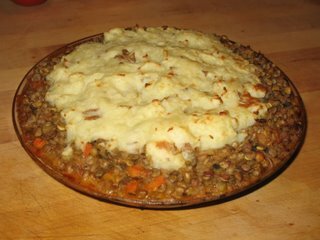 Pour the lentil mixture into a casserole or deep pie dish. Spread the mashed potatoes on top. Cook for 30 minutes. If you want the potatoes to be extra golden, broil for a few minutes (watch carefully!). It's really yummy! 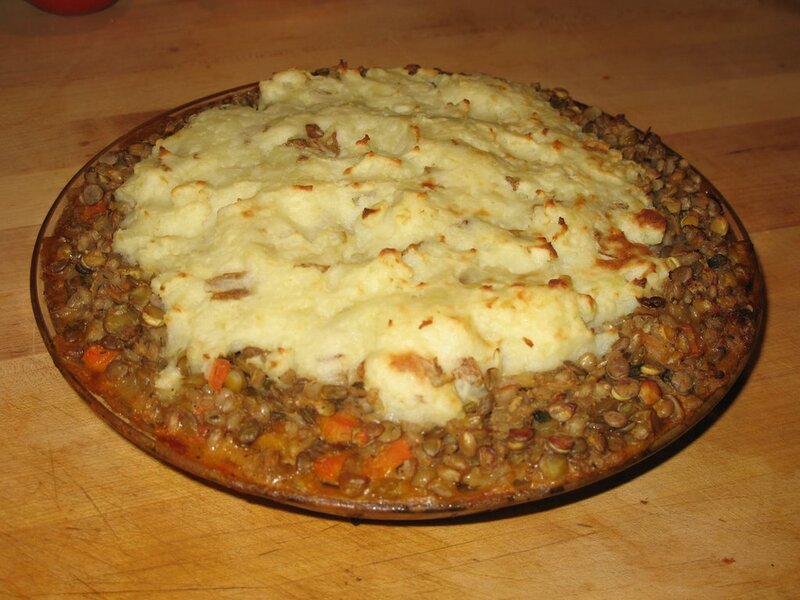 That lentil cake looks great- I love anything with lentils. And don't worry about the photographs- your food always sounds good and healthy, and that's all I'm looking for! I keep wanting to blog about some of my favorite cookbooks but I never get around to it.